Home of Metal is collaborating with Flatpack Festival to bring a very special screening to this year’s edition of the prestigious film festival. On Saturday 26th March, ‘In Bed with Chris Needham’ will be screened at IKON Eastside, followed by a Q&A with Chris Needham himself. 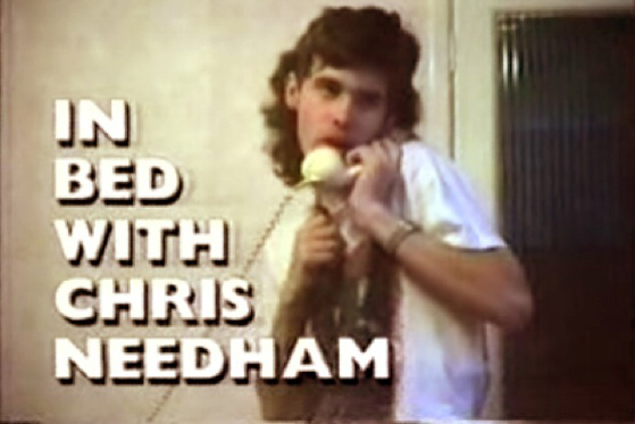 ‘In Bed with Chris Needham’ follows a 17 year old thrash fan as he about to embark on his band’s debut gig. Full of quotable lines, its a fantastic insight into teenage fan-dom and is, of course, a testament to the power of Heavy Metal. Unscreened for two decades, this will be a very special event. In 2009, Home of Metal brought the Led Zeppelin classic ‘Song Remains the Same’ to Flatpack Festival – if you missed it (or just really need to see it again) we’ll be showing it earlier that day at our Home of Metal Open Day at The Public, West Brom. So come along and make a day if it! Flatpack Festival 2011 programme is now online!